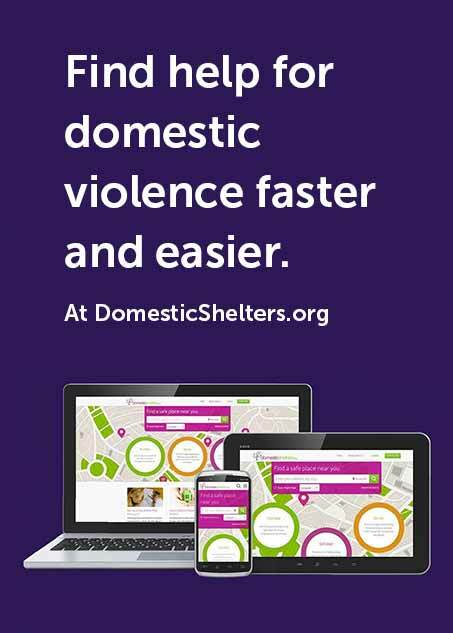 With the launch of its new comparison tool, the fastest growing website in the domestic violence space domesticshelters.org now gives people experiencing domestic violence a service that has not been available anywhere previously: the ability to easily and quantitatively compare programs. The website already allows people to freely search its database of nearly 3,400 help programs, and filter those searches based on proximity, hours of operation and language. The comparison tool now allows people to “checkmark” the programs of greatest interest and be presented an easy-to-read, side-by-side comparison of those programs across 96 factors. Organizers of the website say that survivors will be able to make more educated decisions about which help programs may best suit their needs. “There is a lot of diversity in what help programs can provide to people,” explains Ruth Glenn, executive director at National Coalition Against Domestic Violence, which partners with family foundation Theresa’s Fund to run domesticshelters.org. To that point, Domesticshelters.org tracks up to 156 standardized characteristics on each of the nearly 3,400 programs. Doing so makes an apples-to-apples comparison possible and alleviates the possible end-user confusion or misinterpretation that can occur when organizations who provide help are not necessarily operating from the same terminology playbook to describe what services they provide. The comparison tool also will help people see which programs specialize in domestic violence assistance, which programs offer multi-purpose services in addition to help for domestic violence, and which programs are primarily homeless shelters that can sometimes provide an interim solution. Domesticshelters.org is the first online and mobile searchable database of domestic violence programs in the U.S. and now in Canada. The website makes finding help faster and easier. It also offers a growing library of more than 100 helpful articles and a comprehensive state-by-state and topic-based statistics section, as well as the ability for anyone to incorporate domesticshelters.org’s core services directly into their own website by offering free widgets.